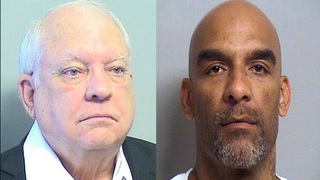 A volunteer Tulsa County, Okla., sheriff’s officer who shot and killed an unarmed man as he ran away has been found guilty of second-degree manslaughter. Bates used his close ties with the department to forgo the required 480 hours of field officer training. During trial, it was revealed that he was never qualified to carry a weapon, including the revolver used in the deadly shooting of Eric Harris. Tulsa police released body-cam footage of the April 2015 incident in which Bates was riding with Tulsa officers when Harris ran from police. A chase ensued and officers took Harris to the ground. While Harris was being detained on the ground, a single shot rang out. “He shot me, man! Oh my God,” Harris yelled. “He didn’t do s—t, you hear me? !” the same deputy screamed back. Officers continued to pin Harris to the ground, even though the gunshot “fractured two of Harris’ ribs and caused his lungs to collapse,” the Daily News reports. It took the jury less than three hours to find Bates guilty and to recommend the maximum sentence: four years in prison. Bates’ sentencing is scheduled for May 31, the Daily News reports. “I honestly wasn’t sure that the guilty verdict was going to come back, and when it did, I was kind of blown away,” Harris’ sister-in-law Sheila Dake-Harris told reporters outside the courtroom. Harris’ brother told those gathered that he hopes that his brother’s death can have a positive effect on police reform.